Atletico Mineiro's spirit has pushed them into the Copa do Brasil final. Over the past few years, fans in the pleasant if unglamorous city of Belo Horizonte in southeastern Brazil have grown used to waking up with collective celebratory hangovers. This Thursday morning has a different feel, however, as it might be the first time that supporters of archrivals Atlético and Cruzeiro have had reason to overdo the cerveja and cachaça on the same night. Galo's preposterously exciting 4-1 (4-3 on aggregate) Copa do Brasil semifinal victory against Flamengo at the Mineirão coupled with Cruzeiro's gutsy 3-3 away draw against Santos mean the city's big two will go head to head in this year's Copa do Brasil final. It is likely to be a seismic affair and the culmination of two remarkable years for football in Belo Horizonte, a period that has seen Atlético win South America's biggest footballing prize, the 2013 Copa Libertadores, and Cruzeiro claim the Brasileirão title in the same year (and the Raposa look likely to repeat the trick this time around). Rumours that fans in glitzier Rio de Janeiro and brasher São Paulo, Brazil's traditional footballing powerbases, are organising "football tourism" excursions to watch games in Belo Horizonte remain unconfirmed at this time. The dramatic nature of Atlético's win has already become a matter of routine for the club's fans -- their recently adopted slogan, "Eu acredito" ("I believe"), emerged during a series of heart-stopping comebacks and last minute escapes on the run to Libertadores glory. These miracles have continued this year. In the Copa do Brasil quarterfinal, Atlético trailed Corinthians 3-0 on aggregate early in the second leg at the Mineirão. No matter. Eu acredito. Galo won 4-3, the decisive goal coming four minutes from the end. At halftime in last night's second leg against Flamengo, with the scores tied at 1-1 and Galo needing three goals after a 2-0 defeat in the first leg, the giant TV screens showed highlights from the team's recent heroics. "Eu acredito," bellowed the crowd and 45 minutes later, Atlético players were cavorting wildly on the pitch while Flamengo's fans slumped in their seats. The winning goal came six minutes from the end, further proof that Parkinson's Law can be reversed -- for this Galo team, time seemingly expands to allow the task in hand to be completed. Cruzeiro are also doing their part to lift Belo Horizonte into Brazil's footballing spotlight. In a rain-lashed Santos, Cruzeiro were showing some guts of their own, scoring two late goals to wipe out a 3-2 aggregate lead for the home team. Such doughtiness has proved an admirable and essential quality for a team better known for its vivacious attacking play; fatigued as they are by what will ultimately be a gruelling 73-game season, the verve of recent Brazil call-ups Everton Ribeiro and Ricardo Goulart has waned in recent weeks. It's hard to imagine right now that just a few short years ago, the peak of Belo Horizonte's international footballing fame, outside South America at least, arguably came in 1950 when Joe Gaetjens' goal for the USA humiliated England in a World Cup group tie at the Independência stadium. Or that in 2011, both Atlético and Cruzeiro were almost relegated from Serie A as, with both the Mineirão and the Independência closed for World Cup rebuilding work, they played their home games at the sparsely populated Arena do Jacaré in the town of Sete Lagoas, some 70 kilometers outside the city. Which is not to say Belo Horizonte has ever been a footballing backwater. While Atlético were (until recently) best known for their hard luck stories, Cruzeiro boast two Copa Libertadores triumphs, four Copa do Brasil wins and three league titles. In most countries, such achievements would be more than enough to put a city firmly on the footballing map. But Brazil is not most countries. Rio de Janeiro and São Paulo dominate the game here in every sense. They win more trophies: 43 out of the 57 officially recognised Brazilian league titles have been won by teams from those states). 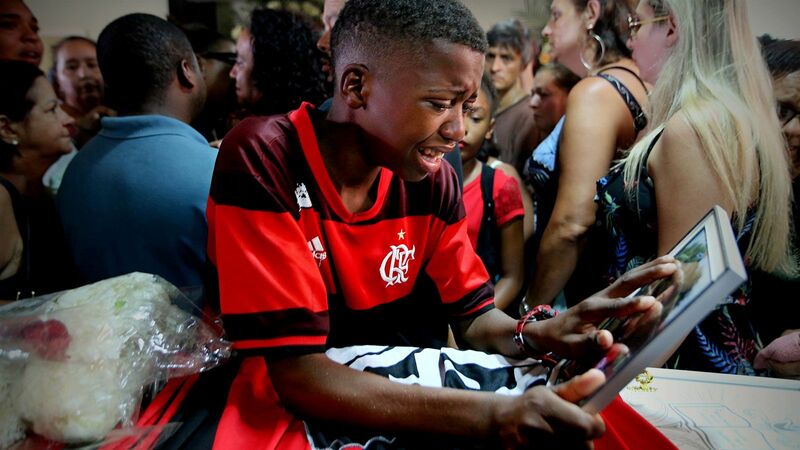 They garner more nationwide support -- a study by sports marketing firm Pluri Consultants in 2012 showed that around 22 million of Flamengo's estimated 30 million fans live outside Rio de Janeiro. The two cities also hold more financial muscle -- Corinthians and Flamengo will each receive £42.5 million ($67m) from their respective TV deals in 2016 while Cruzeiro and Atlético will get £15 million ($24m). Such disparity has lead Recife based journalist Cassio Zirpoli to talk about the "Spanish-ization" of Brazilian football. The showpiece will see Atletico and Cruzeiro fighting for the Copa do Brasil. The first leg is Wednesday. Then there is the media coverage. The slavish devotion of the giant TV Globo network and other Brazilian channels to teams from Rio de Janeiro and São Paulo means that only games involving those clubs are ever shown on national prime-time terrestrial TV. It is remarkable to think that a young Brazilian fan without access to cable TV living outside Minas Gerais (the state of which Belo Horizonte is capital) is only able to watch reigning champions Cruzeiro when they play against one of the Rio or São Paulo big boys. Yet despite such obstacles, over the past two years Minas Gerais has stepped out of the footballing shadows. The revolution arguably began in June 2012 when Atlético signed Ronaldinho Gaúcho, an apparently risky move for a player who had looked disillusioned with the game at his last club, Flamengo. But Ronaldinho and Galo were reborn, pushing eventual title winners Fluminense hard in the league. Finishing second meant a place in the Libertadores in 2013 and set the stage for that remarkable trophy-winning run, bringing the club its first major title since 1971. Cruzeiro, meanwhile, weren't standing idle either. Tribal enmities run deep in Brazilian football; the success of one team in a city can often be a spur to drive their rivals on to greater efforts. Cruzeiro made a number of low-key but astute moves, such as the hiring of thoughtful coach Marcelo Oliveira, a former Atlético idol during his playing days. 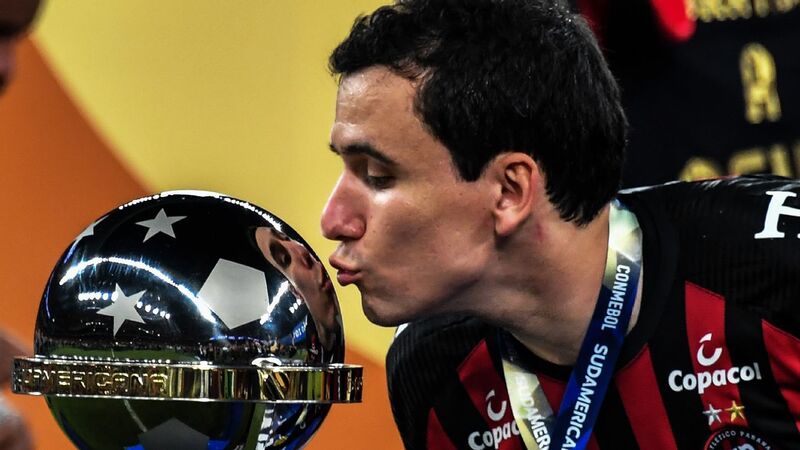 While other teams spent huge sums on big name (but ultimately unsuccessful) signings such as Alexandre Pato (Corinthians) and Leandro Damião (Santos), Cruzeiro bought more wisely, snapping up bargains like Goulart and Ribeiro. As important as any player, however, has been the team's quick-passing, aesthetically pleasing approach to the game. As Brazilians reeled after that harrowing 7-1 World Cup defeat by Germany and then covered their eyes in horror after the Mundial circus packed up and went home, Cruzeiro's fast, high-pressure game offered some optimism for the future. As well as the Copa do Brasil final, the team sits five points clear in the league with only six games remaining, and it seems a second successive league title is there for the taking. While other teams spent big on disappointing stars, Cruzeiro invested wisely in manager Marcelo Oliveira. 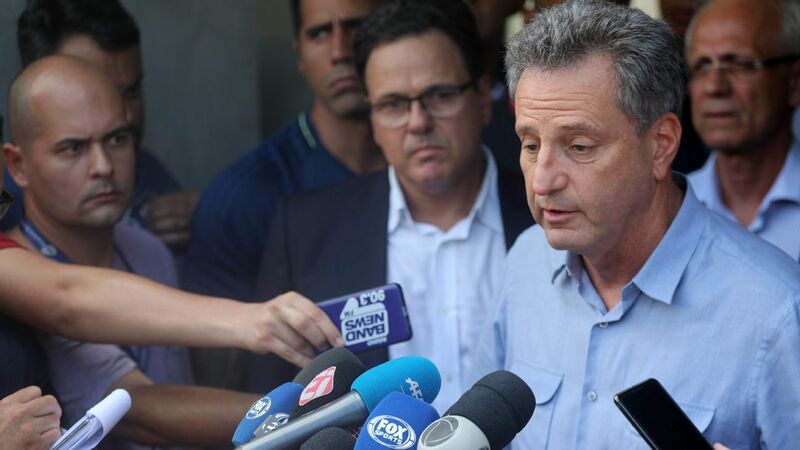 While the progress of the Belo Horizonte clubs over the last two years has been impressive, there is no doubt that it has been aided and abetted by the failure of their better-known rivals to follow suit. Last year's league table made sobering reading: not one team from the biggest city in South America, São Paulo, qualified for the Libertadores while one Rio side (Vasco da Gama) was relegated and another two, Flamengo and Fluminense, flirted with the drop all season (the latter, in fact, only escaped when Portuguesa were docked points for fielding an illegible player). There is nothing mysterious about such failures. Massive historic debts naturally limit spending power -- Flamengo are an estimated £190 million, $301m, in the red) while Rio neighbours Botafogo have struggled all season to pay players' wages). The frantic hunt for short-term success leads to rash signings and managers are hired and fired with bewildering haste -- a Mexican survey recently showed that Brazilian clubs change their coaches more quickly than in any other of the ten major leagues evaluated -- all of which translates to a lack of cohesion and long term planning. Atlético and Cruzeiro fans, however, will care not a jot about the plight of their rivals. They have more important things to worry about -- like that Copa do Brasil final, for example. "It's the final that football in Minas has always deserved. Belo Horizonte will come to a standstill," said Cruzeiro striker Willian after last night's game. James Young writes about Brazil and its football. His collection of short stories and blog writings, "A Beer Before Lunch," is available on Amazon.